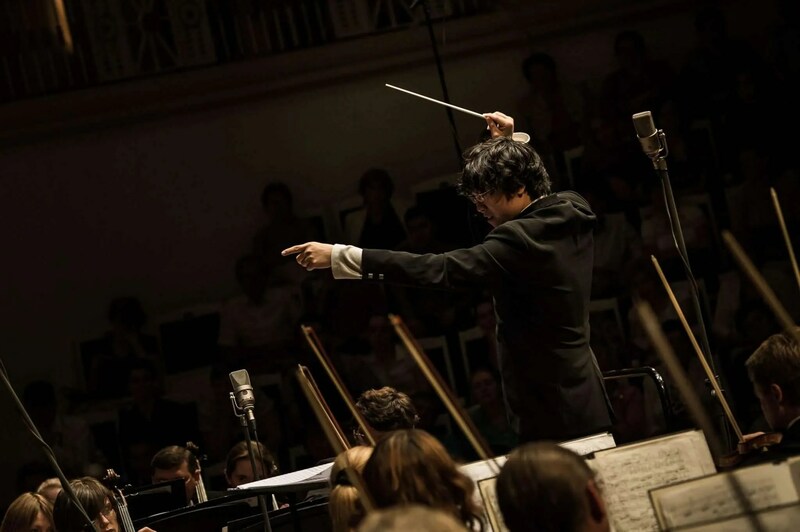 Singaporean Conductor Kahchun Wong recently completed his dream debut with the Singapore Symphony Orchestra on March 6 this year, performing two symphonic poems by Liszt (Orpheus, Les Preludes) and Wagner’s Tannhauser Overture. The Band Post visits his extensive career, hoping to capture what made his career develop over the last few years. You were invited to conduct the Singapore Symphony Orchestra (SSO) this year, would you say it’s a childhood dream come true? How do you feel about it? This was a totally memorable experience for me. I grew up listening to the SSO, and I still remember my first concert that I attended at Victoria Concert Hall (VCH) in 2001 where “O” level music students had to attend. I started my first musical memories playing the cornet and then the trumpet in the brass/concert band, and I have especially fond memories of performing on stage for Singapore Youth Festival (SYF) at VCH, and hearing the addition of strings live in this particular SSO performance made me feel like I was sitting in a Hollywood soundtrack recording! In the past few years, I have had very fortunate opportunities to conduct professional orchestras in Europe, but coming back home to perform at the Esplanade is truly a special project for me, because I get to share parts of my musical journey with my parents, my friends and my teachers in Singapore. It must be a fantastic experience for you to be able to play, compose, conduct, and even continue to learn music in less than 30 years, what do you feel about the many opportunities over the years? Incredibly grateful for the good luck and goodwill that has come my way! One thing I have learnt is that passion, fueled by a clear determination and supported by simply honest work, creates a path forward. Never giving up, but also having the flexibility to change one’s plans and to say no, are lessons that I have learnt and am continuing to explore everyday. One of my mentors, the conductor Robert Spano, who is music director at the Atlanta Symphony Orchestra and the Aspen Music Festival, said that we should always have a plan in our head before we walk into any rehearsal, to be aware of possible issues that need to be fixed. But once the rehearsal begins, our ear works hard, and then we throw out the plan because what we really need to do is to fix real problems, not merely conceptual ones. However, the original plan is still an essential component; without it at the start, there is nothing to guide us along! I always wanted to be surrounded by music from the very beginning. Trumpet’s the love of my life, and it would really be cool to explore a performing career on it. During my NS days, I sustained nerve injuries on my lips, which led me to composing more and more – it was the only way I could feel like I was still a musician! With composing comes the eventual need to conduct my own music. I taught some school bands in Singapore as well, while I was studying composition at the Yong Siew Toh Conservatory of Music! So things have happened organically, sometimes unexpectedly, but there has luckily always been positive outcomes, and all I do is to look forward to see what tomorrow brings. Are there some people you would like to acknowledge, who have made it possible for you to come this far? Too many to possibly list them all! My first band instructor in Jurong Primary School, Miss Yue Ai Chuan, for opening my world of music; Miss Chan Peck Suan, who showed me what total dedication and love to music is; Mr. Oura Takehiro, who provided me with lots and lots of opportunities to conduct the Raffles Junior College (RJC) Symphonic Band; ME5 Tan Aik Kee, who always had a listening ear to my fantastical musical dreams and took them seriously; Mr. Lester Lim, whose extensive knowledge of music and his incredible collection of band repertoire provided me with endless resources to study and learn from. After National Service (NS), I auditioned for the St. Petersburg Conservatory in Russia to study conducting, but financial issues became a reality, and so I went for the next best option, the Yong Siew Toh Conservatory of Music (YSTCM), which provided a full scholarship, reading composition instead. This proved to be the best decision of my life: At YSTCM, I started my own student orchestra which I could conduct and explore repertoire, setting the stage for a future path on the podium. In my 2nd year there, I was selected for a conducting masterclass with Esa-Pekka Salonen, then Music Director of the Los Angeles Philharmonic, who has supported my development ever since! As a composer-conductor himself, he inspired me to no end with his dedication and energy to music. Last week, I was conducting in LA, and he was also in town to work with the Colburn Orchestra, an outstanding student orchestra. I attended his rehearsals, and I learnt so much from his sessions on how he was able to lead the young musicians efficiently, effectively but also relaxed and yet strict at the same time! I spent a semester at the Peabody Institute in Baltimore on exchange, and there I watched every single conducting lesson by the great Gustav Meier, a wonderful pedagogue and teacher to outstanding young conductors. This followed by two consecutive summers at the Aspen Music Festival, mentored by Robert Spano, who is an electric personality on and off the stage. I learnt so much at Aspen, which included not just conducting technique and score study, but also how to lead positive and efficient rehearsals. After I graduated from YSTCM, Dr. Ho Chee Kong, who has been very supportive of my compositional and conducting studies, introduced me to Yeh Tsung, the music director of the Singapore Chinese Orchestra. 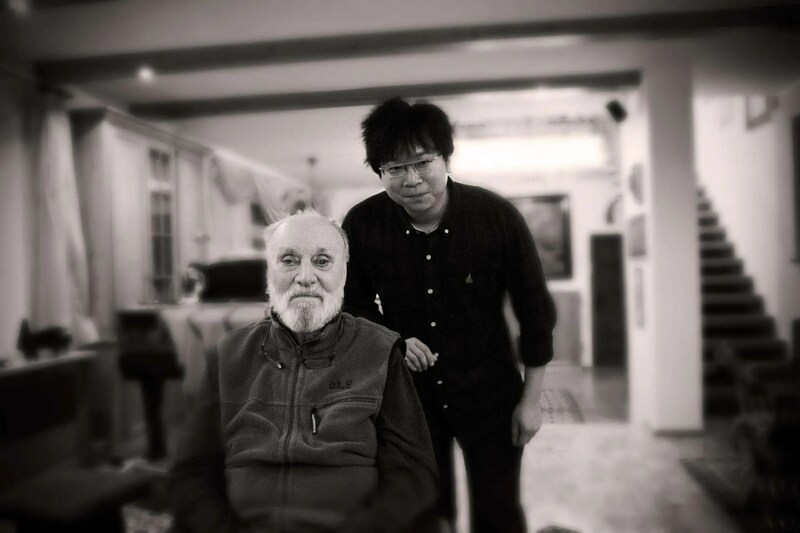 This was a totally awesome period for me – I learnt to write music for Chinese orchestra, and I learnt to conduct traditional CO music from Maestro Yeh, who himself also leads a professional symphony orchestra in the USA! I looked to Europe for further conducting studies, and there was nowhere better for me than Berlin, at the cradle of Western classical music, at the Hanns-Eisler Musikhochschule, which has an excellent track record of outstanding graduates. Many of my instrumental colleagues play in the academies of the Berlin Philharmonic and the Berlin State Opera, and I received professional opportunities to conduct numerous orchestras in Germany as part of my programme. International conducting masterclasses have also been very helpful for my musical growth, and intensive periods of study with Kurt Masur, Bernard Haitink and Heinz Holliger has provided me with unique perspectives on composers that these great conductors feel very close to. After all that’s being said, nothing would probably have been possible without the support of my parents, who never objected to me pursuing my dream in music. No one in my family is a musician, and I could probably have entered into good academic courses in university if I wished for an alternative career that might be more sustainable (and profitable! ), but they never said no. All I had to do was to make sure I find scholarships to fund my own education (otherwise I would have to go for a bank loan), and I would be all set. What are some future projects on hand for you? Will you also consider a return to composing for wind band? My conducting studies in Berlin was supported by the Lee Kuan Yew Scholarship from the Public Service Commission, a humbling experience that has since inspired me to always think and consider how what I do can contribute to my community. As a musician, we do not save lives as doctors can; we do not fight battles for human rights as lawyers can; we do not influence a society with well-conceived policies as political leaders could. But we can perhaps bring some form of beauty to this world of today, motivated by capitalism and pragmatism, from human to human. 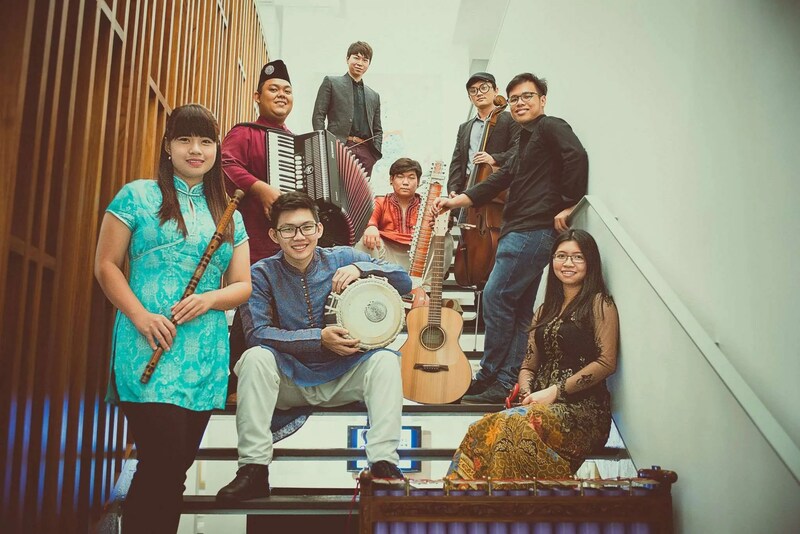 I started the Asian Contemporary Ensemble last year, which is a unique collective of ethnic instruments that represent the Chinese, Malay, Indian and Western communities which make up Singapore, and we have had a large number of performances so far. One of our most memorable activities was held in the Singapore General Hospital, where we visited the wards of patients who might have found it difficult to move around, to perform and to share our experiences with them. This year, we are starting a series called MusiCare, where we perform and work with partner institutions such as Singapore General Hospital (SGH), National University Hospital (NUH), Pathlight School and St. Lukes Eldercare. In 2011, I decided to take a break from composing in order to focus on my conducting studies. Very recently, I was invited to conduct in Hiroshima, where the Funairi High School Wind Orchestra was performing 2 of my compositions, the Overture to Vox Stellarum (which I composed in 2003 when I was still in RJC) and the Malay Folk Song March (which I wrote in 2006 during my time in the SAF Parade Band B). Listening to these young musicians perform music with heart and soul somehow stirred my inner composing spirit once again! 2015 is turning out to be a major year of composing – In collaboration with MOE and MCCY, I will be writing a set of ceremonial music including marches and community songs for school bands in Singapore as part of SG50; I have a commission by the Philharmonic Winds in celebration of their 15th anniversary; I am also commissioned by the Singapore Chinese Orchestra for an original work for CO; and I will be arranging some music for the Singapore Lyric Opera as well!